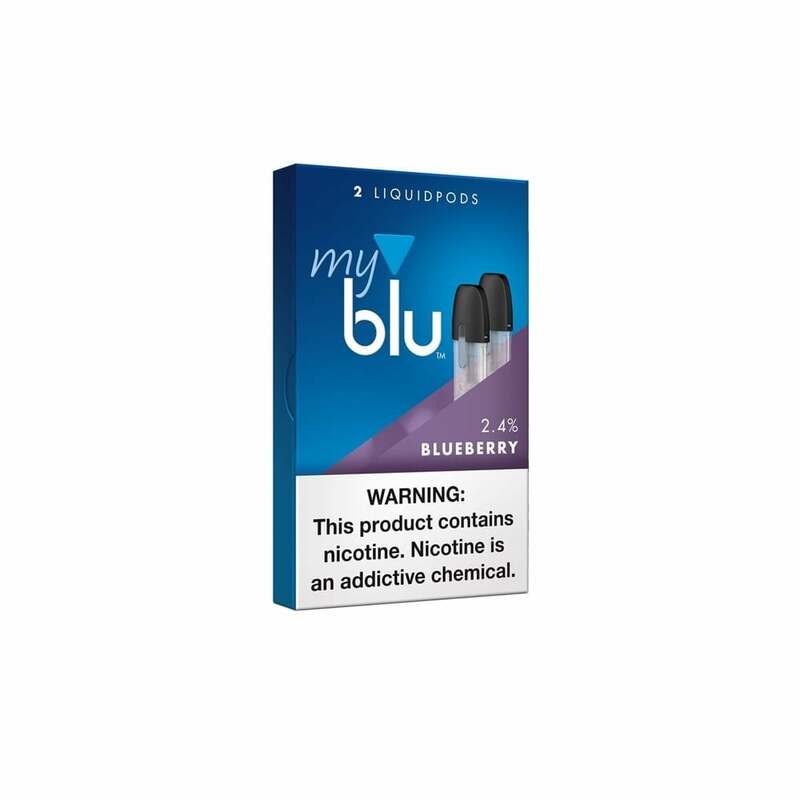 myblu™ Blueberry Liquidpods are a fantastic choice for fruit vapers. Full of juicy blueberry flavor, myblu Blueberry Liquidpods are rich, refreshing and perfect as an all-day vape. Smooth taste, yet not overpowering “fruity” flavor. Constantly leaked, and it was hard to get a decent hit from. The only thing I really tasted was the juice itself. I absolutely love this flavor! It is refreshing and sweet and when I am stressed out this flavor seems to sort of help me because it is so smooth and good tasting and not as harsh as menthol. I love this flavor! It is my favorite of all love all the flavors but by far this is my favorite! Its ok. Just a little strong for me. The blueberry liquidpod is the best one I used so far. It overhauls alot of the room with the aroma of freshly picked blueberries. The taste is spot on when entering my mouth, makes my breath smell good and when you use air freshener it'll make it smell sweet, but I do wish it would have a more lasting taste. The blueberry pods are fantastic. If you like blueberry, this is the one for you. Nice strong flavor compered to other brand of blueberry I've tried. they just have a very mild, if at all, of blueberry. I will order again soon. Only wish it came in a higher does of nicotine but, you can't have your cake and eat it to. I was a little hesitant about how this blueberry would taste because, I've gotten other pods that said blueberry and they were far from the taste offered. But, the MyBlu Blueberry pod is fantastic. I will be ordering more and probably try the Green Apple. I highly recommend this Blueberry pod, it's great. Also, fast and secure shipping as always. Also very impressed with the quick shipping.